EverlyWell provides at-home tests for the seven most common STDs in the US. You don’t need to visit a lab or clinic to get tested. Instead, you take a sample at home and send it to them. 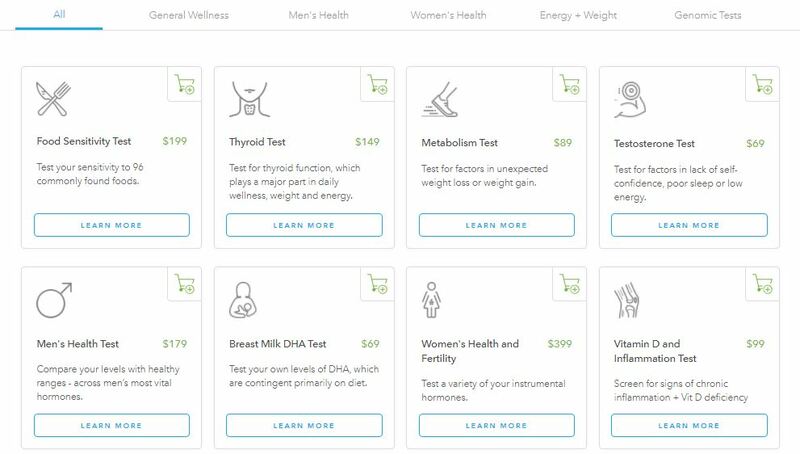 In this in-depth EverlyWell review, we cover all the details regarding types of tests they offer, how testing works, price, payment options and privacy. To compare EverlyWell with other options, read our guide to the best STD tests online. EverlyWell is a confidential STD testing service that sells at-home tests for the 7 most common STDs. The best part? You don’t have to visit a lab or clinic to get tested. Instead, the company sends you a sample collection kit to your home with instructions on how to collect a sample. You then mail your sample to their lab for processing. Results are ready online in about 5 business days. The company places a lot of emphasis on privacy. The kit arrives in discreet packaging, and the results are only accessible to you. EverlyWell collaborates with expert physicians and certified laboratories to analyze samples, vet the results and provide medical advice for positive tests. EverlyWell differs from walk-in STD test providers in their added convenience and privacy. Many other STD testing services require you to visit a laboratory to get a sample taken after ordering the test online. In some cases, you have to provide your name at the lab. With EverlyWell’s at-home testing service, you don’t have to see anyone else or give your name to a laboratory. You only deal with the company online. They’ll send you a package with the kit, and you mail it back. At no point will you have to travel to a clinic or visit a laboratory. Everything is done from home.This is a significant advantage to people who are sensitive about maintaining their confidentiality. With a lab visit, there is still some chance you could bump into a friend or relative, which could keep some people from getting tested. When you do everything from home, you are guaranteed complete anonymity. It’s also beneficial for those who cannot visit a lab or clinic because of age, illness or disability. They can simply order from home and get their results online. Another thing: EverlyWell.com is the only STD testing service I’ve come across that offers a monthly subscription deal. You can opt to get tested every month, every three months or every six months. The subscription plan ensures that you are always aware of your sexual health. The process is simple and straightforward. Visit EverlyWell.com, the company’s official website. The company provides a wide variety of tests including thyroid tests, food sensitivity tests, and sleep tests. So you need to go to the STD tests section. Their STD tests are separated into male and female tests. Pick the one that applies to you. Both male and female packages include tests for gonorrhea, syphilis, Trichomoniasis, chlamydia, Herpes Type 2, HIV and Hepatitis C.
This is not the most comprehensive testing service. Most STD test services provide a broader variety of tests, sometimes up to 14. But if you want to test for the most common and high-risk STDs, then EverlyWell.com is a great choice. Once you select your preferred package, place an order. 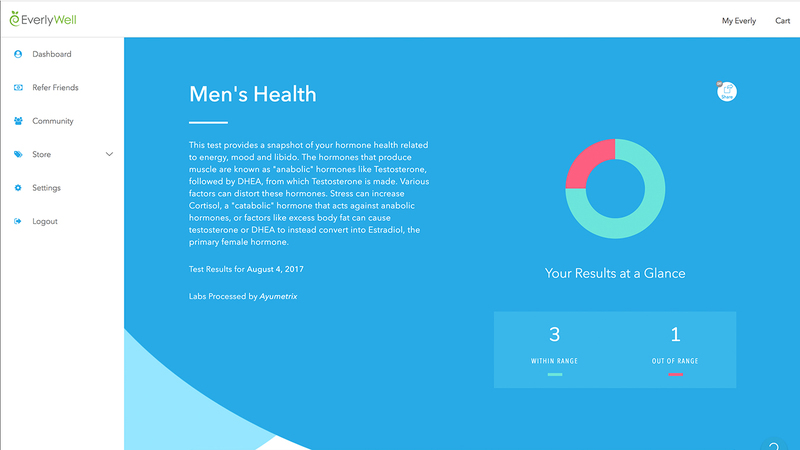 EverlyWell.com also has a subscription service, for people who need regular testing. You’ll save money, too. A monthly subscription costs $179 (25% savings). A bi-annual subscription costs $203 (15% savings). To compare, a one-time purchase of either the male or female STD test package costs $239. After you place an order, make the required payment and provide a shipping address. Your test sample kit will arrive at your home within two business days, in a discreet package. Follow the instructions provided to collect a sample and secure it. You’ll then mail the sample back to their facility for testing. In about five business days you will receive an email with a link to a secure online account where you can view your results. If your test is positive, a physician will call you to discuss your condition and advise you on possible treatments. Note: Because of state regulations, EverlyWell’s testing kits cannot be used by residents of New York, Maryland, New Jersey and Rhode Island. Their commitment to privacy. This is one of the most confidential STD test providers. They go to high lengths to maintain the confidentiality of their customers. Even the kits are sent in generic packaging that no one would suspect contain anything related to STD testing. Furthermore, only the customer can access their results. The convenience. Giving your sample at a walk-in lab may only take a few minutes, but it still requires you to get away from home. 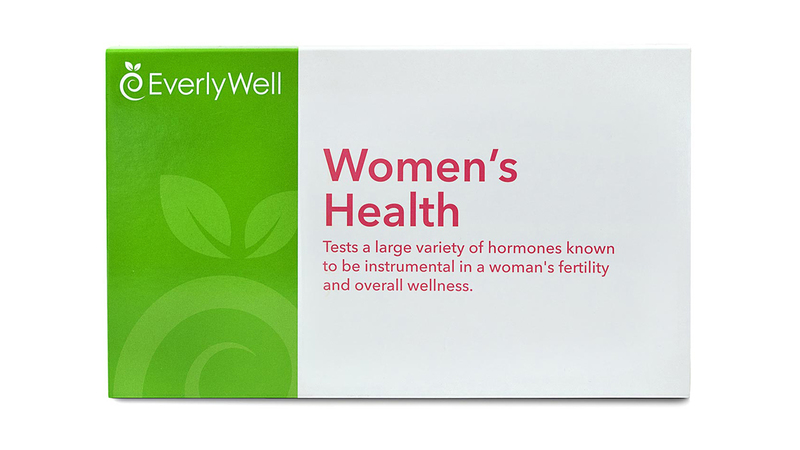 An at-home test such as EverlyWell’s is much more convenient. Even if you are busy at home or too ill to travel, you can still get tested for STDs. The prices. EverlyWell has some of the friendliest prices around. You pay even less if you opt for the subscription service. So if you are looking for an affordable anonymous STD testing service, we recommend EverlyWell. Talking about subscription, it’s a cool idea if a bit unusual to see in the STD testing industry. It provides more convenient especially for those who face the increased risk of contracting sexually transmitted infections. There are only two STD packages: Male STD tests and Female STD tests. Each package has tests for seven of the most common STDs in the United States. Each package, whether male or female, costs $239. You can order more than one test though there is no discount for multiple orders. You only get a discount if you choose the subscription option. A monthly subscription goes for $179, a quarterly one is $191, and a biannual one is $203. The tests are carried out in certified laboratories by medical professionals. 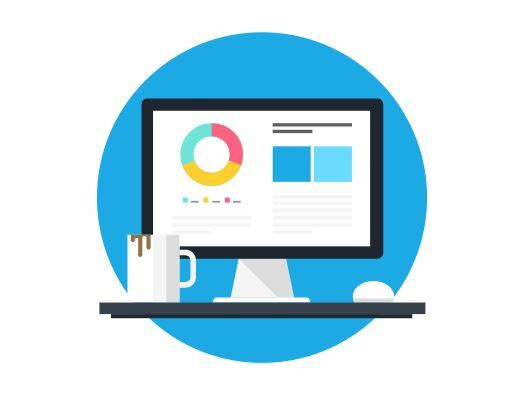 EverlyWell uses the latest technology and research-based methods to ensure the most accurate results. They also include very detailed and clear instructions with the sample-collection kit to ensure that customers do not compromise the quality of the collected sample. But as with all STD tests, there is a slight chance that you could get a false positive or negative. That’s why doctors recommend that individuals get re-tested after a few months especially if you got a negative test. The turnaround time is a bit longer than with walk-in lab tests. This is because it takes time for the kit to be sent to you and for you to send the sample back. You’ll receive the kit in 2 business days. Once you take a sample and send it in, it takes around five business days for the results to be released to your online account. Altogether, it can take more than a week to receive your results. But at least you don’t have to go to a lab or see a doctor. 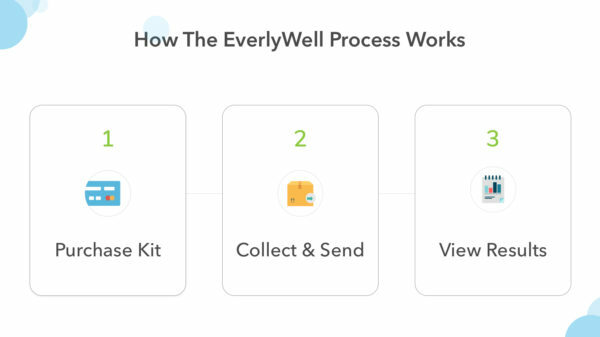 If you think your results have delayed beyond the usual turnaround time, EverlyWell has excellent customer support that you can contact at any time. EverlyWell has a strict confidentiality policy. It starts with bank-quality encryption on their website, which uses the HTTPS protocol. For data storage, they use a professional third party encrypted storage service that is HIPAA compliant. For payments, they use Stripe and do not store any credit card information in their database. Beyond online security, the company also maintains privacy when delivering the kit. It comes in a nondescript package that doesn’t say what’s inside. When the results are out, they are only accessible via your EverlyWell secure account. They are not sent via physical or electronic mail. Furthermore, only you can access the results. Not even your partner or doctor has any rights to see your STD test results. Only you can decide to share your sexual health information with someone else such as your partner or your physician. Note that some states require certain positive STD tests to be reported to government regulatory bodies such as the CDC. So in some cases, EverlyWell may report a positive test for Syphilis, Gonorrhea, Hepatitis A/B/C, Chlamydia, and HIV. If you test positive for any of the STDs, a physician will make a phone or video call. You can ask questions regarding the test and get advice on the best treatment options. In some states – 34 states currently–the doctor can offer a prescription at no extra charge. Qualifying states include Arizona, Illinois, Kansas, Maine, and Maryland. See the full list here. If you live in Georgia, Ohio, and Vermont, a video consultation is mandatory as per the state laws. 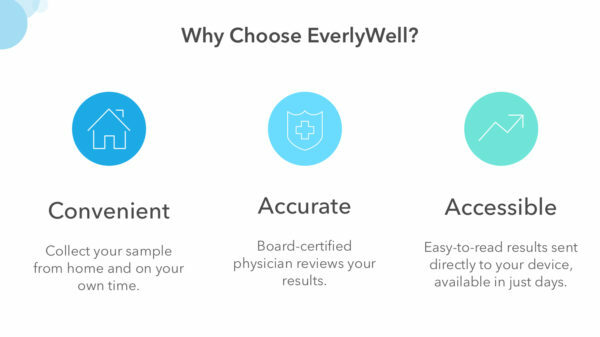 In addition to health counseling, EverlyWell recommends that you talk to your physician about the positive results. They will be in a better position to recommend the best treatment. The sample collection kit comes with simple extensive instructions for collecting a quality sample. For women, a blood sample and vaginal swab are required. For the blood sample, you just prick your finger. It’s almost painless. For males, a blood sample and urine sample are required. It should take just a couple of minutes to collect the samples and secure them in the kit. Make sure you mail the samples back immediately to receive results quickly. If you have trouble collecting the samples or you are not sure how to go about it, contact customer support. EverlyWell.com accepts major credit and debit cards including Visa, MasterCard, Discover and American Express. They also accept FSA and HSA payments. They, however, do not accept any health insurance. You can still use the insurance, but you are still the one to pay EverlyWell and then you’ll request a reimbursement from your insurer yourself. It’s a tedious process and considering the friendly test prices; it was more convenient to just pay with your credit card. EverlyWell guarantees complete anonymity when you use their services. Your data is kept secure and can only be accessed by authorized persons. They do not share it with third parties. They also guarantee a medical consultation if you test positive for any STD. You are entitled to a phone or video consultation. No. The only payment options available are credit/debit cards and HSA/FSA payments. After you mail back the sample, it takes around five business days for the sample to be analyzed and the results posted to your secure online account. 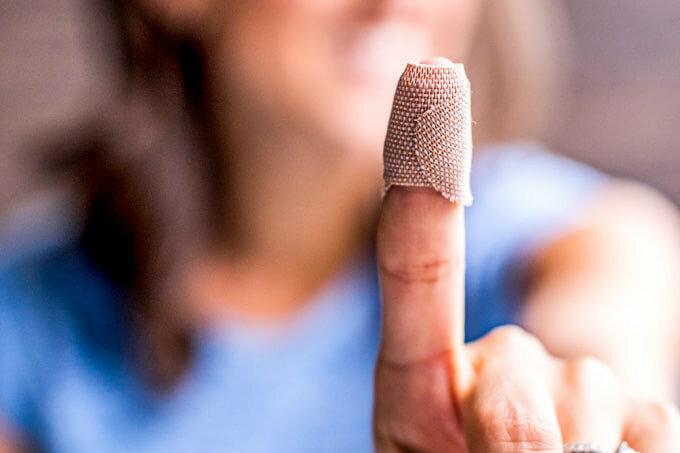 Will my partner, doctor or insurance company be notified of my test results? Not at all. Only you can access your test results. It’s up to you to share the information with whomever you want. There aren’t a lot of customer reviews online for EveryWell.com. The few available praised the service’s convenient and confidential STD testing. The only complaint was that it can take longer than usual to get test results back. While the variety of tests is not great, EverlyWell has some of the best prices around. If you are looking for an affordable way to get tested for the most popular STDs, EverlyWell is one of the most private options. It’s great for those who want regular STD tests without spending too much money.